← Somersby Cider wobbling on the shoulders of a giant? This morning, as I cleaned up some cat sick, I found myself thinking about realism. The sick was still warm and prawny, which is the kind of detail you need if you are going to be realistic. Such details enable us to clearly imagine things. Without wanting to, for example, I’m sure you can imagine the cat sick’s acid smell and its lumpy texture. The play Look Back in Anger (1956) by John Osborne depicted a miserable love triangle set in a claustrophic room in a shared flat in the English midlands. 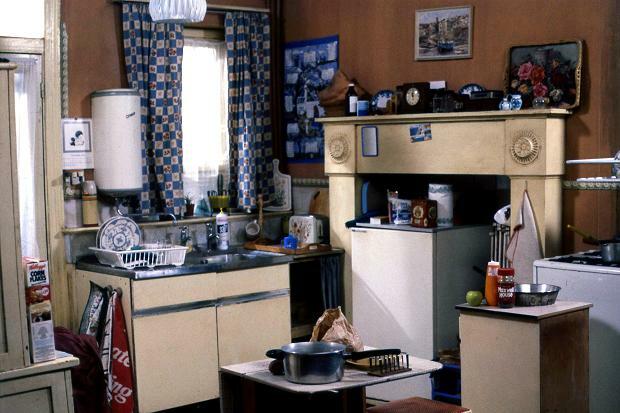 At the time, this ‘kitchen sink’ drama was revolutionary and its influence still resounds in dour, long-running British soap operas such Coronation Street and Eastenders. Writing in this way is a great pricker of bombast and at the time it made the old guard of writers such as Noel Coward, whose 1952 play Quadrille was a drama about Victorian love and elopement, seem out of touch. These portrayals of gritty real life are, of course, as artificial and selective as any other fiction. For such realism grinds out all kinds of imaginative possibilities like a cigarette stub under its heel. For the world is not exclusively composed of people drearily fixating on dispiriting details of their disappointing lives and their baleful down at heel companions. On the whole I find people rather imaginative. People have passions that inspire them, and take them beyond the normal constraints of their lives even if it just supporting a football team. Fantasy and imagination and humour are as much part of the world as much as that endlessly dripping tap. As a boy I escaped into reading The Lord of the Rings. But then I found living in a flat in Neasden, attending a failing comprehensive in Wembley, and having an alcoholic stepfather did not make me yearn to hold a mirror up to this world in my spare time. My favourite English teacher was always reading us stories by Alan Sillitoe about unsmiling working class blokes fishing in crap canals in Nottingham. I hated all that. I wanted literature, art and music that drew me away from all this into other, bigger, more colourful worlds. As a rule if a story has the word snot in it, I don’t want to read it. These days realism is often set among the working class to provide increased ‘authenticity’. Made in leafy Borehamwood, I find the gritty soap opera Eastenders to be a somewhat patronising middle class fantasy of working class life. Real real life is so much more interesting than England’s greasy sinks. This entry was posted in Uncategorized and tagged Alan Sillitoe, Eastenders, John Osbourne, Look back in anger, Real life, Uncategorized. Bookmark the permalink.